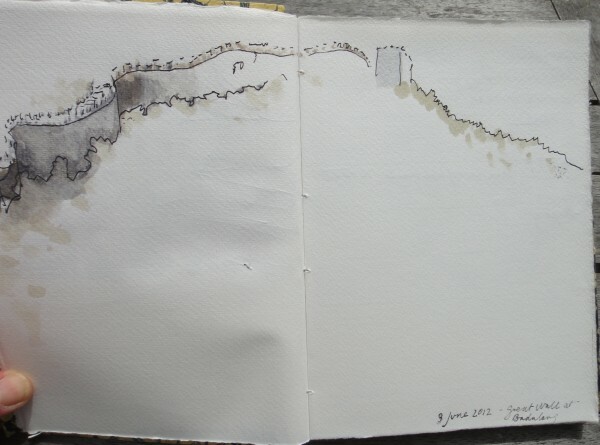 I was in China (Shanghai, Hangzhou, Beijing, and Hebei) from May 29 to June 5. It was a long way to go for such a short trip, but the circumstances of my trip were extraordinary. I did not have much opportunity to draw because my time was not really my own to organize, but I could not do nothing. I grabbed the time where I could. 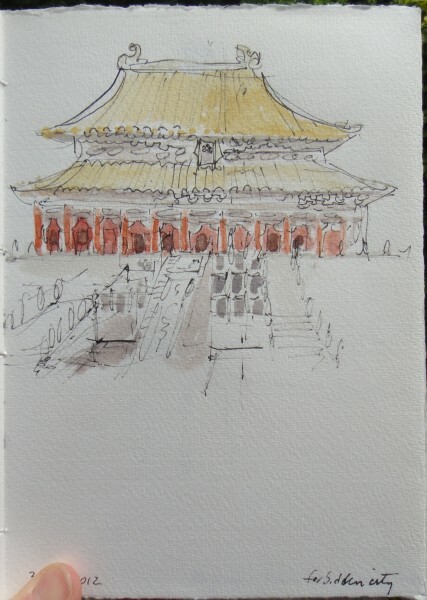 The drawings from the Forbidden City were done while walking at a brisk pace. 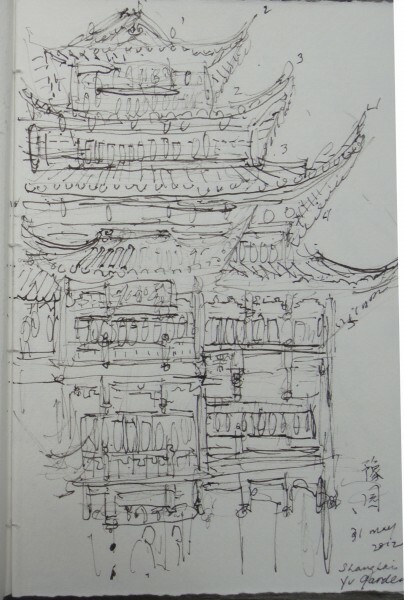 The facade in Shanghai was drawn in 15 minutes. 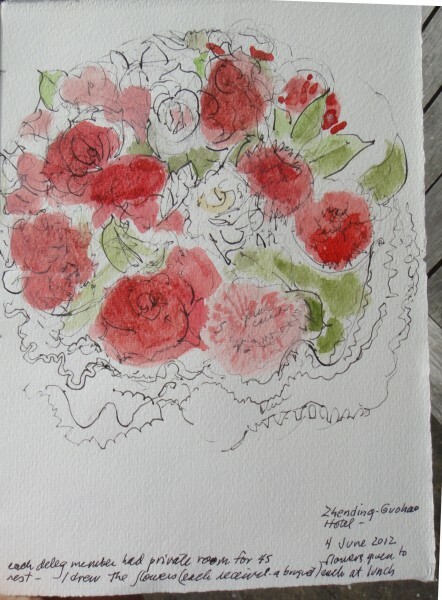 I drew the bouquet to help me stay awake. This page was loaded Apr 19th 2019, 6:23 pm GMT.